The Bank of Canada is leaving its key interest rate unchanged, as expected, at 1.75 per cent. This morning’s announcement comes in the wake of a move by the Alberta government to curtail oil production in the province after Jan. 1 to try to clear a crude storage glut that has driven western Canadian oil prices to multi-year lows. Meanwhile, the recently announced plan to close the General Motors of Canada car plant in Oshawa similarly offers a downside risk to future growth. Bank economists say an unexpected dip in monthly gross domestic product figures in September and lower-than-expected oil prices so far in the fourth quarter have dampened growth expectations and placed in doubt forecasts for a January bank rate increase. 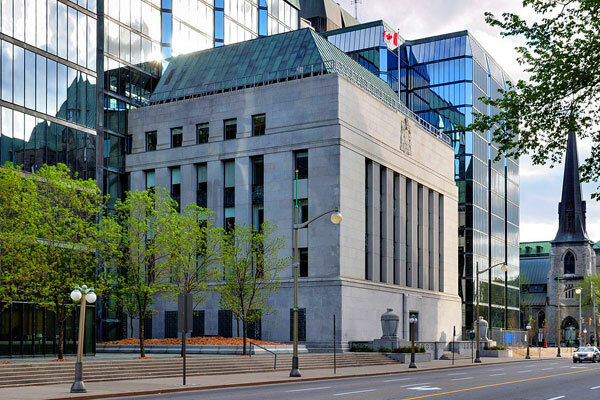 Lower growth prospects are expected to reinforce Bank of Canada Governor Stephen Poloz’s strategy of moving very gradually on increases to its overnight rate. Economists say they will be closely watching Poloz’s speech on Thursday for signs of how events are affecting his view of the path forward.